Zoologist, evolutionary biologist. Studied under Nikolaas Tinbergen, and was introduced to his wife by Douglas Adams. 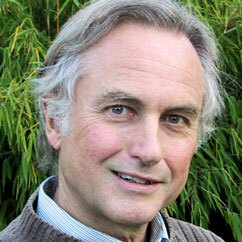 At age 9 Dawkins discovered the Argument from Design as proof of God and became deeply religious. At age 16 he decided Darwinism was a better explanation for design and converted to atheism.